Going diaperless: After showing up at the New Jim Crow rally at the Duval Courthouse this Sunday morning, I had an insight. 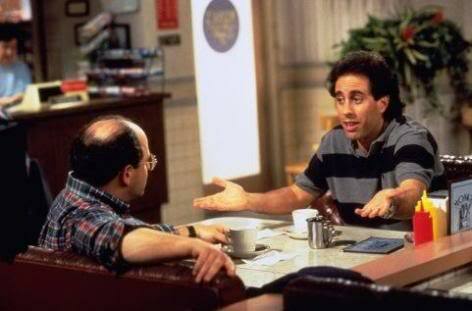 It came from the rally, and from having watched an episode of Seinfeld the night before. Suppose you’ve got a problem—a monkey on your back—and you really want to be free of it. You first gotta admit you have the problem. In my case, you have to name your fear. You have to admit you’re afraid. You have to own your fear. Then you have to act on it. Meaning, you have to do something about it, to get rid of it. This sequence is the only way to get on top of the problem—the problem of being afraid. So, I decided that I’m not going to be afraid anymore of admitting that I’m afraid. This problem has been in my family a long time. Before me, my father was afraid, and his father was afraid before him, and his father was afraid before him, and so on, in infinite regress. And that’s what my father and my grandfather taught me—to be afraid. But they overcame their fear, in a way I’ll explain in a minute. And so will I. But, the question is, how should a person get over their fear now, today, in 2013? How allay it? How overcome it? How sleep calmly at night? I’ll tell you how. There’s only one way, nowadays, of overcoming fear. And that’s to lock up as many black people as possible. Let me make clear, I’M NO RACIST. Not like some people I know. But like them I wrap myself up in the Confederate Flag. 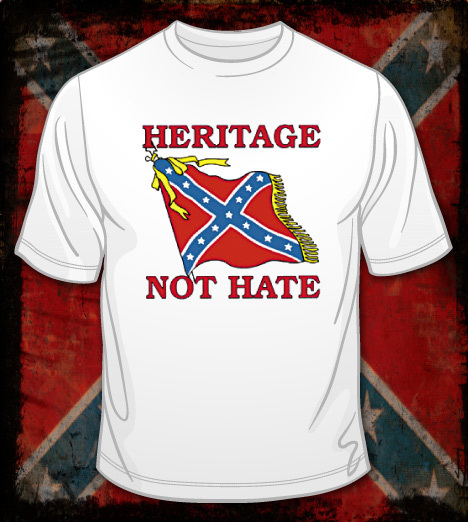 Some say the flag’s about ‘Heritage, Not Hate.’ And they’re right, to an extent. It is about heritage. But it’s really not about hate. I’m serious! Let’s be honest. It’s not about hate; it’s about FEAR. 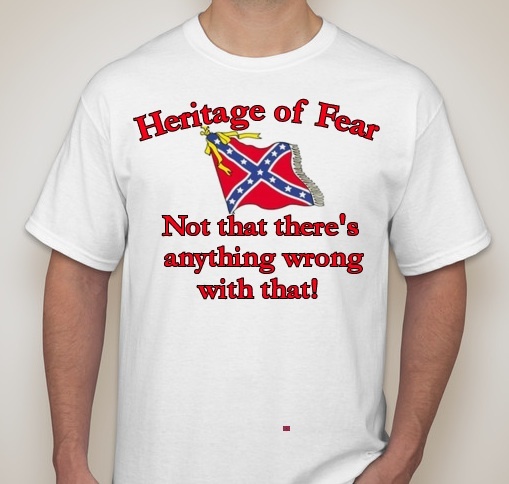 Our heritage is about FEAR. And I’m not ashamed to own it. If my ancestors were afraid, then it’s not like there’s anything wrong with that. If fear was good enough for them, then it’s good enough for me. The courthouse rally this morning was organized by the New Jim Crow Movement. When I first heard it advertised, I thought, ‘Alright! Great! I’m definitely going!’ I was thinking that I’d meet some likeminded people. People wearing robes. But at least there’d be people not afraid to admit they’re afraid of black people. When I arrived though, I was surprised nobody was wearing robes. And there were a lot of black people. I was confused. I thought to myself, ‘Are they afraid of each other?’ But then it hit me: they were not there to support Jim Crow. They were against it. Oops! The relatives of Trayvon Martin, Jordan Davis, and Marissa Alexander and supporters of Cristian Fernandez were there. 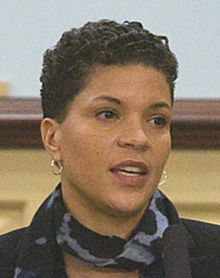 And Michelle Alexander was speaking. 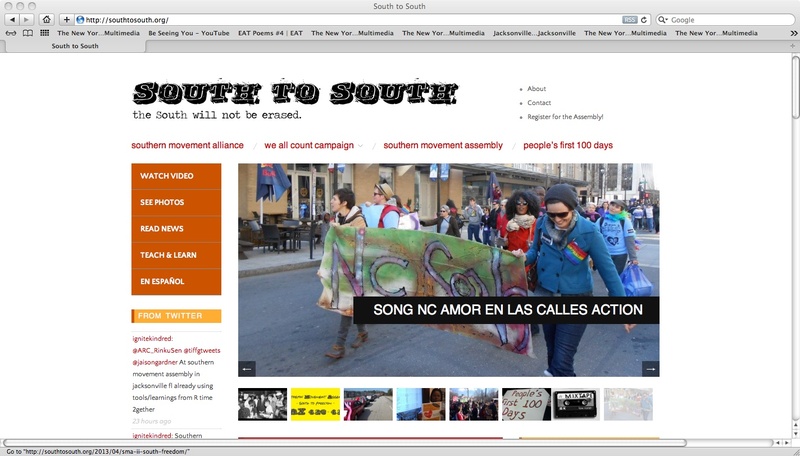 New Jim Crow and South to South. But then, I turned it around, as I always do. What a mistake THESE PEOPLE are making! THEY have it all wrong, not me. These black people, especially the males, they don’t understand how much they frighten us. It’s only natural we react the way we do. Don’t they understand that? We’re friggin’ terrified of them! My father, and his father, and his father before him, and so on. Terrified! That’s why my ancestors used whips and chains. Those whips and chains allayed their fear of a black uprising. Using whips and chains was okay up until about 1860. But then came the Civil War. And then the thirteenth amendment. Nowadays, we can’t use whips and chains anymore, and we can’t ship them all back to Africa, so there’s only one thing left to do, and that’s to lock them all up in prison. As many as possible. At least, lock up the men—they’re the biggest threat. Lock them up in huge numbers. All of them, if possible. Like we’re trying to do now. Who cares what it costs! It doesn’t matter that there’s a deficit! I don’t give a fig if it’s breaking the budget! I don’t care if we go bankrupt! I don’t give a flying f— if the money’s not there. No expense must be spared! Money should be no object when it comes to locking up black males! It’s worth every penny if it allays our fear. So, I’m no coward: I’ve admitted my fear. I’ve acknowledged it. I’ve come to terms with it. And I’ve overcome it. I’m not afraid anymore of admitting I’m afraid. So long as we keep locking up black males as fast as possible, everything should be okay. I’m afraid. There! I’ve said it. You’re turn. Are you?